Quick, easy & inexpensive gifts using recycled plastic bags and ribbon. 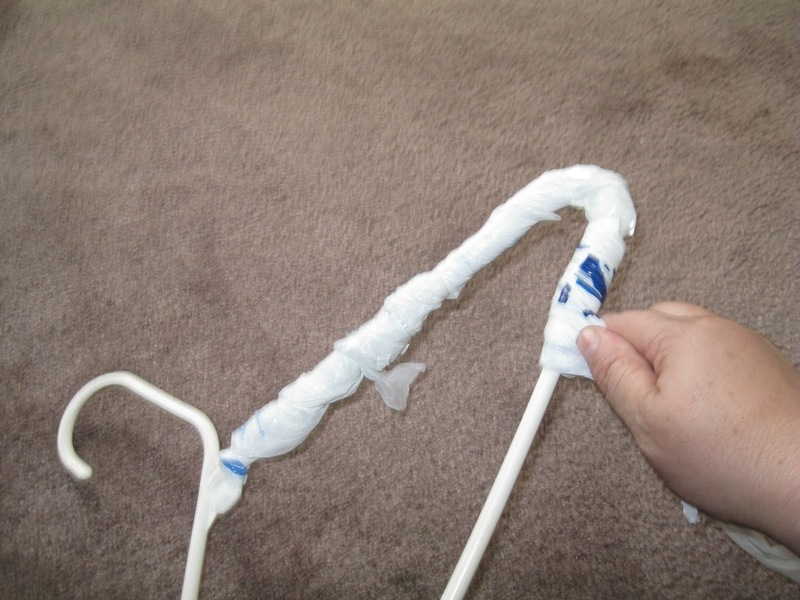 Making padded hangers is easy with these cute hangers made from recycled shopping bags and ribbon, make a pretty gift that you can whip up in no time. A set of 4 of these would make a great gift for teachers, teenagers, co-workers, or just to keep on hand as a last minute gift. 4 1/2 yards of ribbon (1 1/2 inches wide) per hanger. Time: One hour or less. 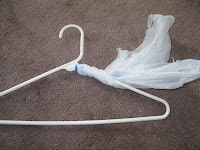 1) To pad each hanger, wrap plastic bags evenly around the hanger. Using small pieces of tape to attach bags together at both ends as you start a new bag. 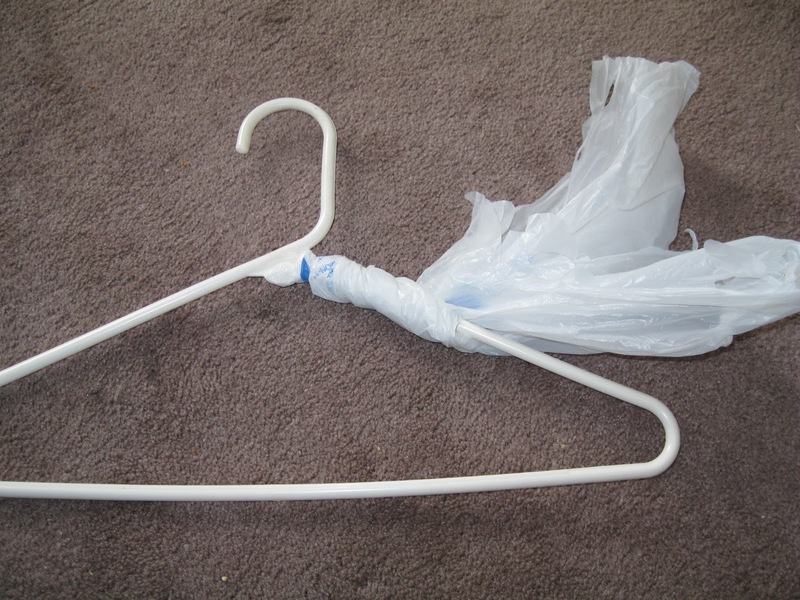 Cover the whole hanger except the hook. 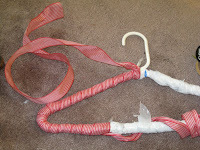 2) Next, wrap ribbon around the plastic bag padding, starting at the base of the hook and leaving a 1-foot tail extending above it(you'll need this to tie a bow later). Overlap the ribbon enough to hide the plastic. 3) When you get back to the top of the hanger at the hook, cut the ribbon sot hat you have another 1-foot tail. Tie the two tails into a bow at the front of the hanger. 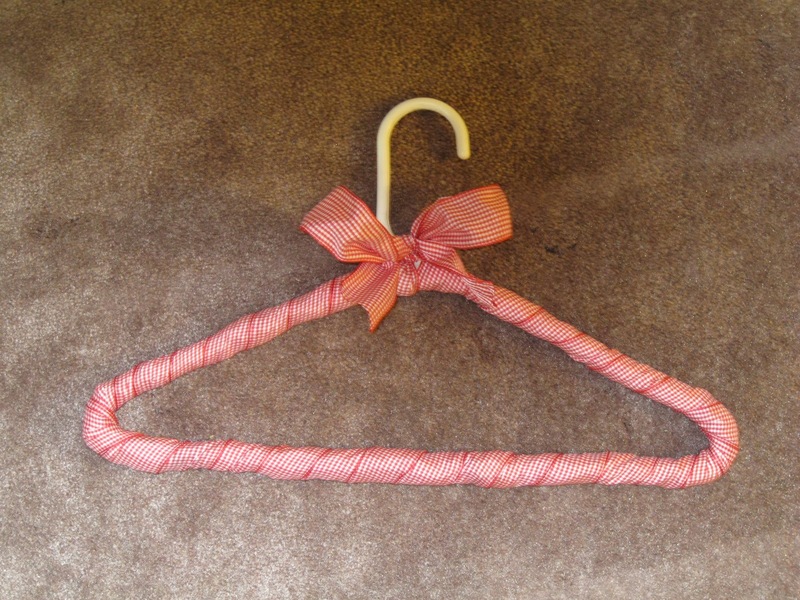 Jan's tip: You may want to use a glue gun and place a few dots of glue in discreet spots to secure the ribbon around the hanger in a few areas, just to keep the ribbon in place a bit better over time.